This episode is similar to that of “Pirate Treasure” in terms of it being a great story to support the social lesson – with extremely catchy songs. Pablo decides to be a Yeti (a.k.a. the Abominable Snowman)for the day, while Tasha, Tyrone, and Uniqua set out to find him. As an expert on the Frozen North, Tasha is adamantly against the existence of a Yeti. She’s never seen one, so therefore they don’t exist. Tasha’s cynicism is played off more as being pessimistic, rather than pure vindictiveness. Uniqua sees the glass half-full, however, and is of the opinion that because she’s never see one, they could still exist. Her enthusiasm is so contagious, that even though we as the audience know who the Yeti is, we almost wish she really would find a real one. Tyrone, affable as ever, becomes the unwilling peacemaker. He has the very difficult task of trying to get both sides to listen to each other (active listening) and to not fight, so they can continue their journey on finding the source of the mysterious noise. Uniqua: [upon spotting ominously brown objects on the ground] They’re Yeti droppings! Tasha: Actually, they’re just raisins. Uniqua: They are too Yeti droppings! Yetis do a lot of dropping, because their hands are hairy…and a little sweaty. In the end, the girls’ are proven to be both right as Pablo is not a real Yeti, but indeed pretending to be one. The musical genre is funk, a rhythmic blend of soul, jazz, and R&B that originated in the 1960s by African-American musicians. One of the most famous funk musicians is James Brown, whose style is particularly evident in this episode’s songs, down to a funky version of “Row, Row, Row Your Boat.” All the songs are very upbeat and danceable, and will even have the grumpiest of listeners tapping a toe or two. 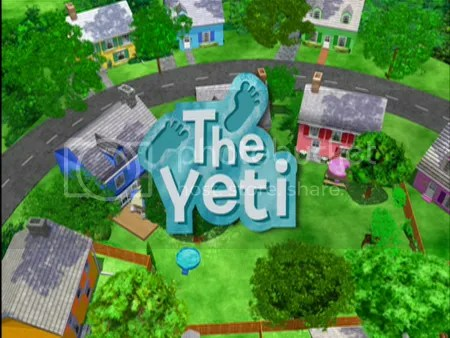 Again, “Yeti Stomp,” is probably the best song to sing with your kids, as you can sing “Yeti, yeti, yeti!” while stomping about in the house, stomping around the grocery store, or stomping across the playground.